Founded in 1910, Santa Rosa Beach, also called South Walton, has a rich history. This long-standing vacation destination remains a hotspot for visitors years later — in fact, Santa Rosa Beach was recently named as one of Travel + Leisure’s Top 5 Favorite Towns in America. Santa Rosa Beach’s sugar-white sand and turquoise water draw in vacationers from around the world; retreats like Point Washington State Forest attract those searching for an all-natural escape. Delicious dining, boutique shopping, and family-friendly attractions round out this lively beach neighborhood. 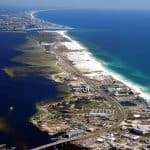 Continue to read out Santa Rosa Beach Tourism guide, to get everything you need to know to plan your next vacation here. 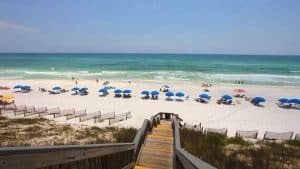 Visit the area beaches in Santa Rosa Beach and along the Emerald Coast. Over the course of a year, the temperature typically varies from 46°F to 89°F and is rarely below 33°F or above 92°F. The warm season lasts from May 24 to September 30 with an average daily high temperature above 83°F. The hottest day of the year is July 28, with an average high of 89°F and low of 78°F. The cold season lasts from November 30 to March 5 with an average daily high temperature below 66°F. The coldest day of the year is January 5, with an average low of 46°F and high of 60°F. There are two airports close to Santa Rosa Beach, Florida. The closest is the Northwest Florida Regional Airport, which is 31 miles from Santa Rosa Beach. Northwest Florida Beaches International Airport is the next closest airport, and is approximately 36 miles from Santa Rosa Beach. To create a fair watch, go to AirFareWatchDog which will alert you when the flights are going down in price. Also check my airfare tips on how to make sure you are getting the lowest fare. For finding the lowest fare, go to CheapFlights. I find them to be the best for flight comparison, and getting the best deal if you are ready to purchase. Once you have your airfare, make sure you reserve your airport parking ahead of time. You can Save On Airport Parking and not have the last minute hassle (been there) of trying to get parking reserved. You deserve an excellent ride to take you around Santa Rosa Beach no matter if you’re traveling for pleasure or business. Select a nifty automobile that will take you to the top sites around the city, and nevertheless look impressive parked in front of the best restaurant in the city. Simply visit CarRentals.com and pick your car. – Desire the Santa Rosa Beach breeze through the rooftop with a convertible? – Looking for an SUV to roar your way through valleys and hills? – Want to squeeze into slots downtown in a compact vehicle? CarRentals.com is more than ready to make your vacation smooth and affordable with their wide selection of options. The Red Bar – My Personal Favorite! The Red Bar is South Walton’s most popular indoor destination. It’s the place for fun with friends and family while taking in all of the eclectic decor, listening to great live music and enjoying great food and cocktails. The Red Bar Jazz Band plays almost nightly during dinner. The party gets cranked up a notch after the dinner crowd thins, creating a more funky atmosphere. Don’t be surprised to spot celebrities here late at night. But please be cool, everybody just wants to chill at The Red Bar. For more information call 850-231-1008 or visit The Red Bar. This brand new, open air restaurant is located directly on the beautiful Gulf of Mexico and is the place to be all year long! 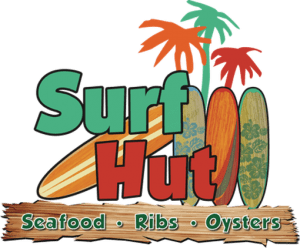 The Surf Hut has a menu that goes far beyond your typical ‘beach fare’, with a little added surfer flare to a cuisine that includes Seafood, Oysters and St. Louis Style BBQ. They’ve got a custom game area on the beach where you can grab a game of corn hole while you watch the waves and sip a delicious signature frozen libation from our full bar! For more information call 850-460-7750 or visit Surf Hut. 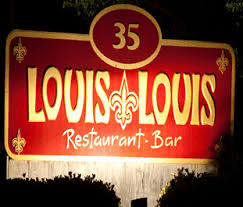 Louis Louis is very similar to The Red Bar, in decor and menu, but also has it’s own distinguished attributes. The family strives to deliver a fantastic meal, in a unique atmosphere, with great service. You can come to Louis Louis on a first date, to celebrate an occasion, or right after a fun day at the beach. They look forward to taking care of you, whether it is your first time with them, or whether you have become a regular customer. Cheers! For more information call 850-267-1500 or visit Louis Louis. 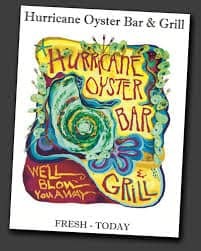 Hurricane Oyster Bar & Grill is a 30A original–Offering menu selections inspired by the Gulf Coast, Caribbean Islands, New Orleans and the Low Country. They are the perfect spot to grab an affordable meal for lunch or dinner. Their food, happy hour and atmosphere cannot be beat. For more information call 850-231-0787 or visit Hurricane Oyster Bar. Local Catch Bar & Grill is located on the beautiful 30A serves the in coastal cuisine while adding a southern twist. For more information call 850-622-2022 or visit Local Catch Bar & Grill. Café Thirty-A is a casual fine-dining restaurant featuring grilled & fire-roasted seafood, organic meats & poultry, wood-oven pizza, vegetarian fare & hedonistic, “architectural” desserts. The menu changes daily according to availability of ingredients. Fine wines & cocktails including a creative menu of the “best martinis in the area” complement the meal. For more information call 850-502-5001 or visit Café Thirty-A. They specialize in Asian-inspired Classical Cuisine and Sushi. Creative use of Asian influences to fresh, local seafood, beef, lamb and duck. As well as, the areas best sushi, rolled to order using only the freshest of seafood and vegetables. They are a small, intimate fine dining restaurant featuring an interesting, but affordable wine list, with a full bar featuring a creative Martini Menu. For more information call 850-267-3028 or visit Basmati’s Asian Cuisine. From the creative team that brought you great restaurants such as Stinky’s Fish Camp and The Lakeplace, they proudly present Trebeaché- South Walton and 30A’s newest, exceptional restaurant and event venue. Perfectly located in the heart of Blue Mountain Beach, Trebeaché boasts an elegant yet resort casual restaurant offering a menu featuring classic to contemporary fare with a variety of ethnic flares. For more information call 850-937-7793 or visit Trebeaché. Chanticleer specializes in fresh, made from scratch, real good food! They bake all of their breads fresh in house, smoke their own meat, make their sauces and utilize the best quality ingredients possible. At lunch they serve: amazing sandwiches and salads, pasta, chops and some down south good cooking like shrimp & grits, chicken & rice and jambalaya! Don’t leave without getting some dessert. Their cookies and key lime pie are their specialty! For more information call 850-213-9065 or visit Chanticleer Eatery. The Red Bar is South Walton’s most popular indoor destination. It’s the place for fun with friends and family while taking in all of the eclectic decor, listening to great live music and enjoying great food and cocktails. The simple but varied menu includes pasta with crawfish and shrimp, panné chicken and mashed potatoes, stuffed eggplant, crab cakes and fish of the day. Oh, and don’t forget about the salad – it is the best anywhere on the Emerald Coast! For more information call 850-231-1008 or visit The Red Bar. Topsail Hill offers a wide variety of natural resources including 3.2 miles of secluded, white sand beaches with majestic dunes over 25 feet tall. Three rare coastal dune lakes provide excellent freshwater fishing. Although boats are not allowed, fishing from the shoreline yields bass, bream, pan fish, and catfish. Lakes, pristine beaches, old-growth long leaf pines, sand pine scrub, and a variety of wetlands offer a bird-watching and hiking paradise. Visitors may bike, walk, or enjoy a quick ride to the beach on our timely tram service to swim, fish, sunbath, or beachcomb. For more information call 850-267-8330 or visit Topsail Beach State Preserve. Named after the area’s brilliant blue lupine flower, Blue Mountain is an unforgettable sight. Enjoy gorgeous views of turquoise water from the top of this beach neighborhood, which sits at a slight incline compared to the rest of South Walton. From cozy beach cottages to luxurious new homes, Blue Mountain offers a variety of accommodations for beach-goers to choose. Explore this beach neighborhood’s eclectic eateries and locally owned boutiques; or pick up a handmade creation at a Blue Mountain art studio. For more visit Blue Mountain Beach. There is nothing quite like cruising around town on a pedal bike, having some drinks and exploring the area, all by the side of your family and friends. From beer festival booths, family reunions, and bachelorette parties to picnics, charity fund raisers, pub crawls, parades, and 5K races. Their party bike can add an exciting element to any event or any day! Book online today to start your pedal tour journey. For more information call 850-231-0397 or visit Emerald Coast Pedal Tours. 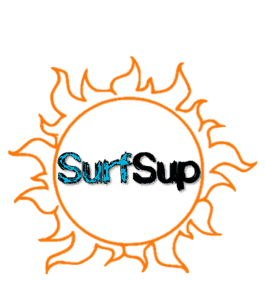 Surf Sup Paddle Board Rentals is a mobile Stand Up Paddle ( SUP ) Board rental service that operates in Destin, 30-A, and Panama City Beach FL. They carry high quality SUP ATX paddleboards, which are designed for all skill levels and all sizes of paddlers. Whether you are looking to SUP Surf the emerald coast, or just cruise by the shore, they have the perfect board at an excellent price for your ultimate SUP experience! For more information call 850-888-0382 or visit Surf Sup Paddle Board Rentals. Fishy Booty Charters is your answer to accessing activities out on the Gulf of Mexico without spending your precious & valuable vacation time stuck in traffic traveling to Destin or Panama City for a day on the water. Play and stay on 30A! Charters depart twice daily directly from the beach in Grayton. 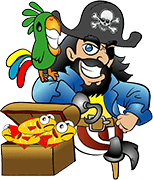 Whether it’s bottom fishing for red snapper, grouper, and sharks or trolling for mackerel, to scuba diving a truly blessed area of natural bottom, Captain Mark Thompson can take you there accommodating all your needs. For more information call 850-586-0807 or visit Fishy Booty Charters. One of our top picks in Santa Rosa Beach. This property is a 10-minute walk from the beach. The 30A Suites are a 5-minute drive from the Top Sail Hill Preserve State Park and 1 miles from the beach. All units all have full kitchens and 2 flat-screen TVs. A washing machine and clothes dryer are provided in each unit of the 30A Suites. The kitchens are also fully equipped with an oven, refrigerator, and a dishwasher. Celebration Hall has meeting and banquet facilities and is located right across the street from this property. Restaurants featuring Italian, Japanese, and American Barbecue are a 5-minute drive away. For more information, pricing, or to reserve your room, visit 30A Suites. This property is a 5-minute walk from the beach. Boasting a private beach, WaterColor Inn & Resort is in Santa Rosa Beach, Florida. Bordering the resort is Grayton Beach State Park, a 2,000-acre park with nature trails for hiking and bicycling as well as a Western Lake, where visitors can swim, fish, canoe, paddle board, and kayak. Guests can enjoy complimentary use of bicycles, kayaks, and canoes on site. A luxurious day spa with massage and body treatment services, and a state-of-the-art fitness center, complete with cardio machines, weights, and personal fitness coaches are available at WaterColor Resort. There are also supervised children’s activities at the Kids Camp. For more information, pricing, or to reserve your room, visit WaterColor Inn & Resort. I have lived in Florida my whole life and I have never heard of Santa Rosa Beach. This is now going to be my next weekend get away for sure. Thank you and I am adding your page to my favs. Oh Jamar, I am not super fond of Destin because of the traffic. But Santa Rosa Beach is absolutely beautiful. But then it is really quite a distance past Destin (traffic wise :). Thanks for visiting Santa Rosa Tourism. Omg! Why haven’t I heard of Santa Rosa Beach before?? It’s beautiful! I’ve lived in Florida most of my life and I had no idea such an incredible beach existed. Gonna have to make it a weekend trip and soon! Diana, Santa Rosa Beach is wonderful! There is a restaurant close to there that cannot be missed. For the life of me I can’t think of the name LOL. But if you go, just ask for recommendations and I am sure they will direct you to the one I am thinking of. Thanks for visiting Sana Rosa Beach Tourism. This is an Awesome article! I didn’t even realize there was a place in Florida where the temperature rarely went above 92 degrees. Santa Rosa seems like a great beach to visit the next time I am in Florida. How is the humidity there? Does being next to the water help lower the humidity at all? Santa Rosa sounds like and excellent place to visit. Usually I travel internationally to find great beaches, particularly to Central America like Costa Rica or Nicaragua. One reason I really like to go down that direction is the cost; it is so much less expensive to travel and stay down there versus the U.S.
A big reason it is so much less expensive is hostels. Are there any in or around Santa Rosa? How about camping opportunities? There are camping opportunities right on the beach. Santa Rosa RV resort is very nice and right on the beach in Santa Rosa Beach. Camp Gulf in Destin is also a nice camping site. There are a few others as well, but these have the best ratings and facilities. There are no hostels close by. Thank you for reading Rhett. I am so glad I came across your site! We are planning a trip to Santa Rosa Beach, we have never been.. Your site is an amazing wealth of information, I love it! Now we can pick and choose Hotels, places to visit and all sorts of fun things to do right from your recommendations on your site.. Thank you so much for having such a wonderful and informational site for us to use and enjoy! Now I know we are going to truly enjoy our Vacation.. I am glad it was helpful for you Debra 🙂 You will have a wonderful time! 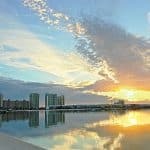 Take some time to drive up down the Emerald Coast towards Destin, you can do it in a day. Avoid driving during rush hour as traffic is less than optimal during that time. Santa Rosa Beach is beautiful, enjoy! I’m so happy that I came across your site as I’m looking to holiday in the states (I’ve never been before). All my friends have been and told me how awesome it is! I love travelling.. Santa Rosa Beach seems amazing! I’m trying to get as much information as possible to plan my itenary and I love the beach. Where is Santa Rosa Beach, which coast is it on? Do you think I can plan an itenary around Santa Rosa? Hi Emrah, Santa Rosa is part of the Emerald Coast which is on the Florida Panhandle close to Destin. So it is going to be on the Gulf of Mexico. 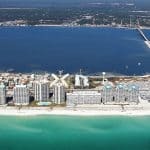 You most certainly can plan an entire itinerary at Santa Rosa Beach. You can visit the entire Emerald Coast if you want. I did it in a week and really enjoyed it. 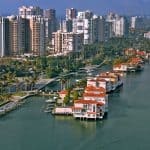 The west coast of Florida and the panhandle is generally less crowded and much cheaper. I have been to all, and really prefer the west coast and Emerald Coast of Florida. Thank you for checking out our Santa Rosa Beach Tourism. Wow this place looks amazing. I am currently in a situation where money may be bit low, is there a recommended time when things might be a little more less costly. Would you recommend any resorts or hotels that are cheaper but not to cheap if you know what I mean. Also is there any scuba diving available in the area? Yes, I agree, Santa Rosa Beach is a wonderful area for vacationing! As far as best time, it depends on what you are looking for. To avoid the summer crowds, you will want to go in March thru the end of May, or the end of August thru October. November thru February is also very nice, but the water is quite chilly. I did go in the winter before, and I did go in the water, but it was chilly. October is still actually really great. Thank you Michael for your thoughtful comments, and I am glad you enjoyed the information on Santa Rosa Beach Tourism. Santa Rosa is absolutely amazing. The weather there is borderline perfect. The service (that I received) was excellent! It was truly a great vacationing experience for me! How was it for yourself? Hopefully you had an experience similar to my own! 🙂 If you did, please tell me so I can have a more accurate depiction of how it is there, besides my own experiences. I thought it was darn near perfect! Only thing I did not like was the traffic, when you want to head down or up the Emerald Coast. Everything else, perfect! Santa Rosa does looks like a beautiful place to hang a hammock! I was wondering how much a person may want to consider bringing for a weekly budget on a trip here? Also, are there any budget accommodations around, like maybe hostels or camping areas? If a person wanted to do some surfing where would they be able to find information on the great local spots? Yes, there is a campground right on the beach called Camp Golf. Click on the link and you can get more information on it. There is not a lot of hotels around Santa Rosa Beach. Mostly vacation rentals which you can get for about $100 a night. Camping on the beach is actually pretty awesome! Great page. I love the pictures colours and the information you have shared! This is very similar to what I want my page to be like! I love how you have reviews for your products and you talk about places and have a number of links for flights and things to do. Just wondering do you make money of this page? If you do can you tell me how? The beach and travelling is defiantly my area of interest. I am just starting in this online world and I am feeling overwhelmed by the information overload. It takes a long time to get things moving. I have been working on this page for a year now, and not really seeing any returns yet. I won’t give up, it’s my passion. Good luck to you! Yes, do give the Red Bar a try 🙂 You’ll love it. Glad the information was helpful and thank you for checking Santa Rosa Beach Tourism out! 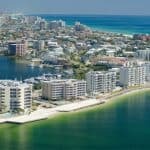 This is some great information about Santa Rosa beach, Florida. 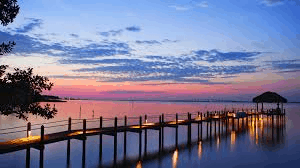 Many people will find this helpful if they are planning a vacation to Santa Rosa Beach. I like how you included many helpful resources such has car rental, bars and nightlife, and things to do in the area. 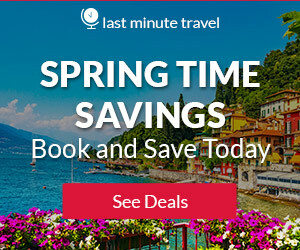 As a traveler myself, I know how helpful this information is when traveling to a new place. 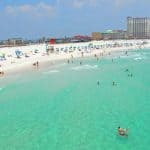 Yes, I just recently visited the Emerald Coast last summer, and I wish I had such a guide before I went! Thanks for visiting Santa Rosa Beach Tourism. You are welcome Michael. I too absolutely love oysters, and the Hurricane Oyster Bar is great! I am glad my information was of help to you. Please let me know if you need anything else. Thanks for visiting Santa Rosa Beach Tourism.